Kyo Float Meeting Table is a beautiful decision-making furniture solution that is sure to be a topic for discussion before the meeting commences. 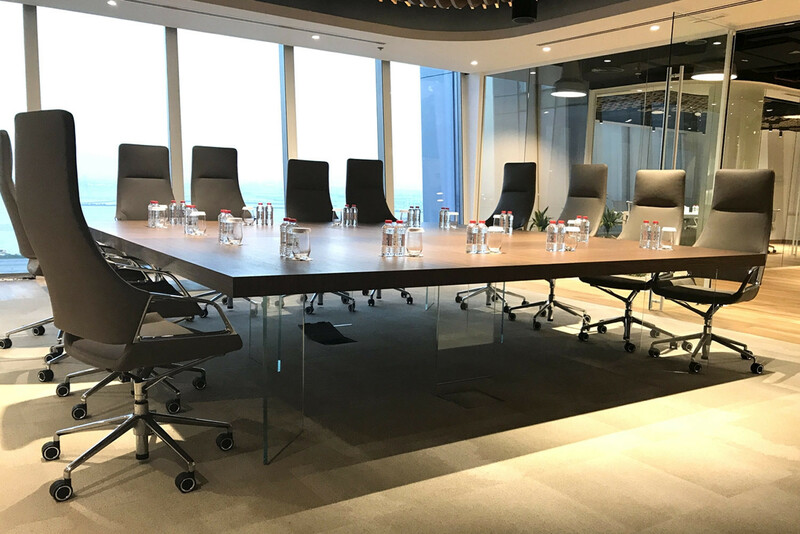 Kyo Float Meeting Table’s beauty lies in the contrast between the thick toughened clear glass of the legs and the textured appeal of the walnut veneer table top. Kyo Float Meeting table dimensions are W2400mm x D2400mm with checkerboard grains for a high representation aesthetic impact. View more furniture from Martex. You are requesting a price for the "Kyo Float Meeting Table"
To create a new project and add "Kyo Float Meeting Table" to it please click the button below. To add "Kyo Float Meeting Table" to an existing project please select below.